Theme: Unit 1. A modern family in Kazakhstan and the UK. Step 2. Me, my family and sports. Learning to talk about them. To develop students’ critical thinking, their abilities to work in groups, self assessment. І part1. Organization moment: greeting the students. 2.Dividing the class into groups. 1.Good morning! How are you? 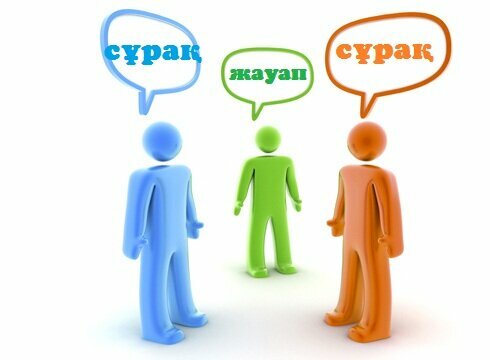 Communication — Explain the meaning of rhyme.-Answer the questions! Explain and learn. Poem “Rain” Explains the method. Check your memory. Practise and match the words. Interview Read the sentences to know how to understand and use the words below.Answer the questions using the new words. (pair works) Learn words. УІ partEvaluating by criteria of assessment. Puts summative assessment. -Give each other smiles and say their opinions. -The leader student evaluates the group. Theme: Step 2. Me and my family. Learning to talk about families. To develop students’ critical thinking, their abilities to work in groups, self assessment. 3. Act the Dialogue, Report the text. -Morning! We are fine! ІІ part.Poem “Rain” — Explain the meaning of rhyme.-Answer the questions! Explain and learn. У partConcluding the lesson. Talk about yourself answering the questions. Report your conclusion. ex 4, p 10 1.Good morning! How are you? 3. Say 3 things of… -Morning! We are fine! believe, hate, hear, know, like, love, need, own, see, have(meaning to own) — Explain the meaning of verbs. Read, translate and learn. Text Explains the rule and gives examples. У partConcluding the lesson. Put questions for given answers. Report your conclusion. Theme: Step 4. What is in your name? Proverbs. — Listen, translate, learn.-What is a good name compared to? -What makes a person really poor? Text Explains meaning of the words. Group A and B. Repeat words and learn. У partConcluding the lesson. Do you remember all words? Say with translations. Learning to talk about their favourite sports. To develop students’ critical thinking, their abilities to work in groups, self assessment. Vocabulary, ex 8. 1.Good morning! How are you? Give the meanings of words. Theme: Step 6. Sport in Kazakhstan and in my life. Text about sport in Britain. 1.Good morning! How are you? 3. Write words by alphabetical order. -Morning! We are fine! Give the meanings of words and speak about sport in Britain. “Jigsaw reading” Explains Read and translate.Answer the questions. Method: “Bus stop” -Work in groups.Do pre-reading task. У partConcluding the lesson. Say the words related to today’s lesson? Say with translations. Learning to talk about their family relations. To develop students’ critical thinking, their abilities to work in groups, self assessment. Letter to the Olympic committee. 1.Good morning! How are you? 3. Read your letters. -Morning! We are fine! У partConcluding the lesson. Report the statements from the speech bubles. Say with translations.